Top 5 Places/Restaurants for Birthday Celebration 2017 ! Birthdays are a celebration of our journey in life . Personally, I use them as a day to reflect on all of my blessings and be grateful for them. As a person who loves birthdays, I did some research to help you out on your next big day. Here's the TOP 5 Places/Restaurants for Birthday Celebration 2017 in KL for you to have a marvelous night out. If you are living in this buzzing city, you must have heard of Cantaloupe as people often come here for exclusive celebrations and social gatherings. 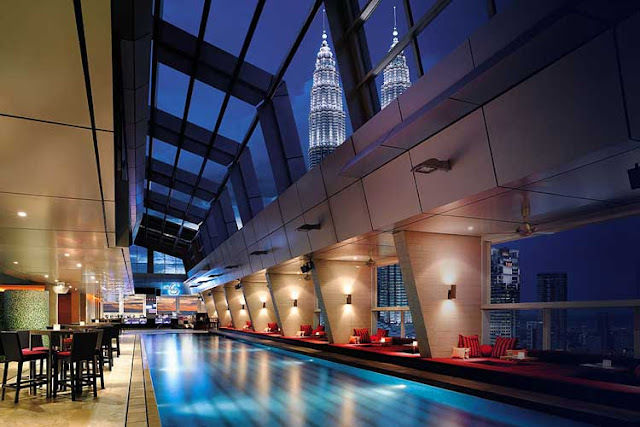 This place is definitely worth a visit as it serves some pretty scrumptious dishes besides having a perfect view of the KLCC Twin Towers. No doubt, that would be the spectacular scene that earns some brownie points for diners who love to dine with an exquisite view. Signature Hill is hidden gem located at Bandar Utama. It is a stylish yet trendy gastro-lounge. If you wish to do some other activities other than just pure dining, this would be the perfect pick. First of all, you can kick start the party by having a pint of chill beer over the bar, play a few rounds of darts or pool and finally, have a quiet meal and end it with a slice of birthday cake. Sounds pretty amazing, isn’t it? Full review of the of Signature by the Hill @ The Roof (here). I bet Thirty8 is one of the places that comes into our minds when we think of venues for special occasions. This place is located on the 38th floor of the Grand Hyatt hotel, with a wine bar and a lounge built with floor to ceiling windows to have a 360-degree view of the skyscrapers. Sounds pretty amazing right? 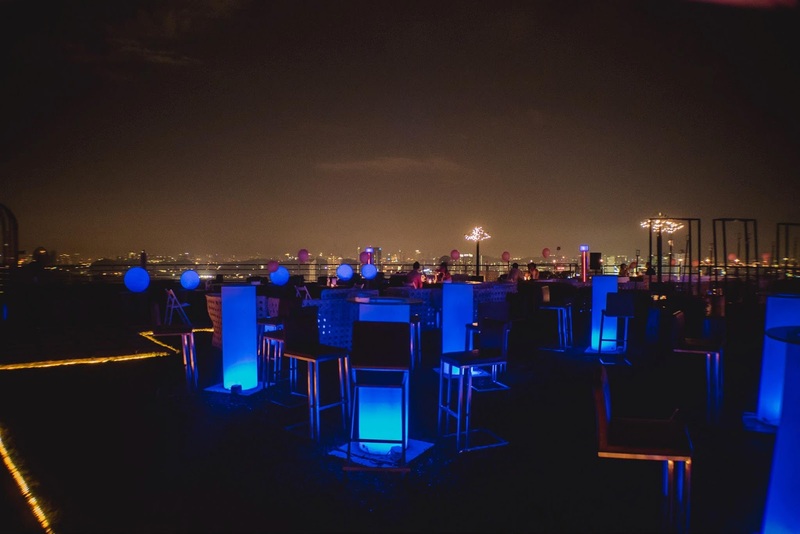 It would definitely be an unforgettable night and a pleasant experience dining in a restaurant that has one of the most breath-taking view of the KL skyline. 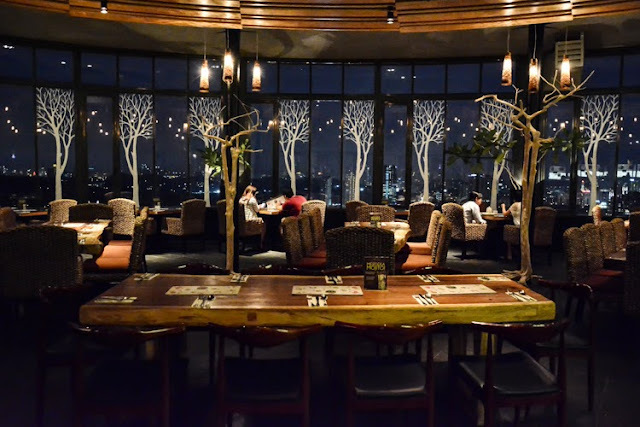 Full review of THIRTY8 @ Grand Hyatt (here). Didn’t like the idea of celebrating your birthday in an enclosed area? Fear not because Stratosphere might be the perfect spot for you. Imagine the sight of you sitting at the sky level of the building, having a little catch up with your loved ones while admiring the dim lights from a distance, the minute houses and cars. It all seems to be a pretty remarkable sight to behold. What about a place that has good DJ and surprises you with special drinks? SkyBar is one of the iconic institution around downtown and it serves some pretty good cocktails and of course, the SkyBar Bucket is a crowd pleaser. You can try various types of bar snacks in just one bucket and of course, under one price. Now, how good is that? Similar to Cantaloupe and Thirty8, you get to admire the KL view from here as well. * First image credits to http://1img.org/.